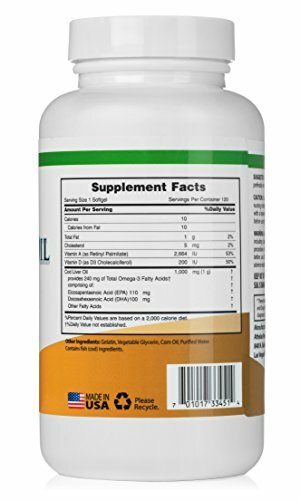 Home / Fish Oil Supplements / Cod Liver Oil Capsules – Certified Pure and Fresh – Triple Strength – Heart Healthy – 120 Softgels of Premium Natural Cod Liver Oil Supplement with Vitamin A and D – 240mg of Omega 3 Fatty Acids – 110mg EPA 100mg DHA – Distilled For Purity – NO Fishy Taste Guaranteed or Your Money Back! 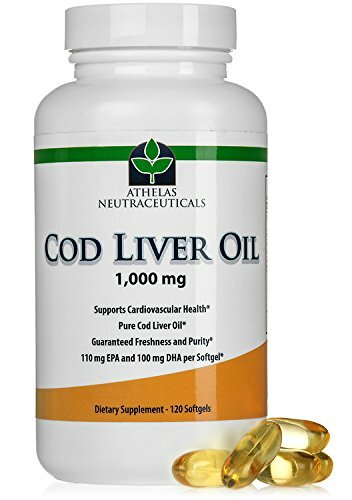 Cod Liver Oil Capsules – Certified Pure and Fresh – Triple Strength – Heart Healthy – 120 Softgels of Premium Natural Cod Liver Oil Supplement with Vitamin A and D – 240mg of Omega 3 Fatty Acids – 110mg EPA 100mg DHA – Distilled For Purity – NO Fishy Taste Guaranteed or Your Money Back! 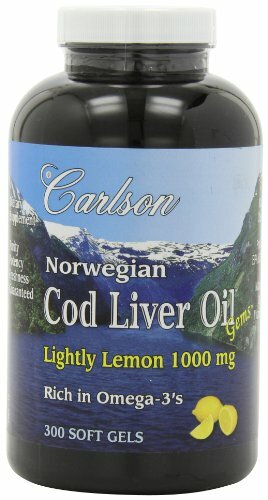 ★ 4.9 OUT OF 5 STAR RATING: Cod Liver Oil from never frozen fish with NO Fishy aftertaste and NO Fish Burps! 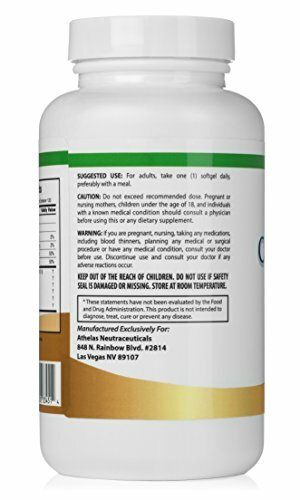 Athelas Neutraceuticals Cod Liver Oil is a premium product carefully selected from the highest quality sources in the world. 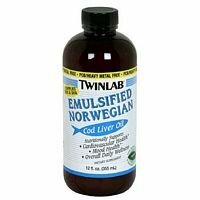 Our cod liver oil is regularly tested for purity. ★ CERTIFIED PURE: Distilled oil ensures the any contaminants are reduced to levels below detectable limits! Tested with every batch to ensure oil that is safe and healthy! ★ TOP VALUE: 1 Capsule of our Natural Cod Liver Oil contains 1,000mg of Cod Liver Oil and 110mg of EPA and 100mg of DHA! 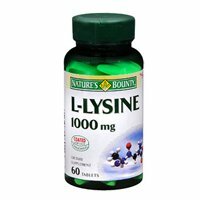 This is easily taken with 1 capsule per day. Other brands require you to take 3-5 capsules to get 1 serving and make them much less cost effective! When that neatly sealed little Amazon box is put at your door open it up as soon as you can. You will then be the proud owner of a 4 month supply of Athelas Neutraceuticals Certified Pure Cod Liver Oil. Now pop open the purity seal and open the top and enjoy the view of a mountain of capsules sealed for freshness and relax knowing you have a full 4 months supply. Check the expiration date and note that your product will stay fresh for much longer than that! Feel confident knowing our sealed softgels preserve the integrity and quality of the oil far better than any liquid cod liver oil that uses preservatives! Then, start taking a softgel daily with meals and start noticing your improved hair, skin and nail quality! 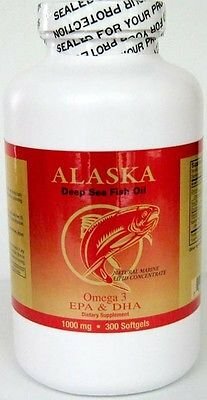 Soon you’ll be balancing out your body with beneficial Omega 3 fatty acids for healthier arteries and relieving your joints of any creaking and pain! 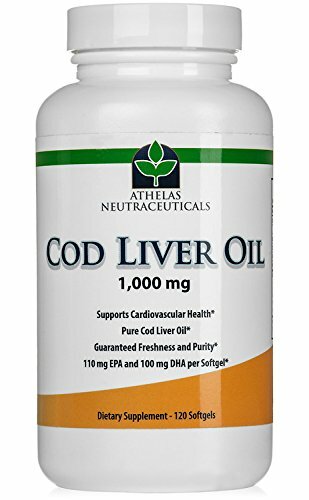 What makes Athelas Neutraceuticals’ Cod Liver Oil better than the competition? We bring you the freshest oil in the world – not like the oil from big companies that may sit in warehouses for months! Then you’ll see our Cod Liver Oil is filled with the proper ratio of Vitamin A and D as recommended by the Weston A. Price Foundation! We pack each softgel with cod liver oil which means you only need 1 softgel of Athelas Cod Liver Oil instead of 5 or more softgels of the other brands! You can enjoy knowing that your bottle is the most cost effective and nutrition packed available. So order now and when you do consider getting two, one for you and one for the most important person in your life. ★ PROMOTES: Healthy heart, skin, arteries, brain function, bone strength, and joints! 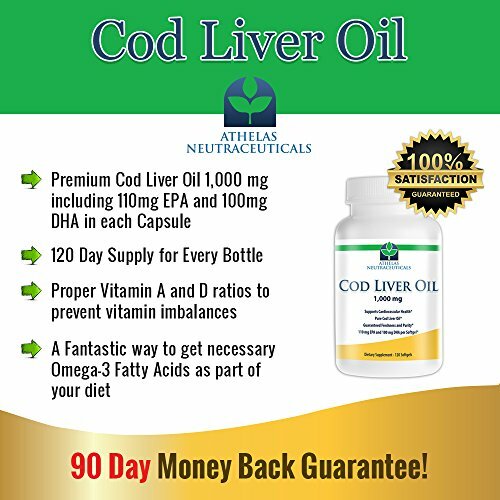 ★ 100% MONEY BACK GUARANTEE: Order your Athelas Cod Liver Oil capsules today and you’ll get a fantastic Omega 3 supplement to improve your health. We strive to make every customer experience an amazing one and will do everything we can to help you achieve good health!